" One day in May, Henry looked in on Isabella in her sickroom to find that she had become delirious. 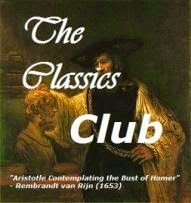 As she lay in her bed, restless and raving, he heard her muttering the names of other men. His suspicions again aroused, he went to her desk and lifted out the journal that she had brought with her from England. She had always kept her diary 'private' from him, he said later. Perhaps in her feverish distraction she had left her desk unlocked; perhaps she half wanted him to find her secrets and blow their life apart. Henry opened her journal and began to read." Henry Robinson reads in intimate detail how intensely his wife loathes him, of her 'affair' with Edward Lane and her infatuations with other younger men. A year later in 1857 he takes advantage of the newly passed Matrimonial Causes Act which made divorce accessible to the middle classes, and sues for divorce. Isabella's diary would provide the evidence of adultery, excerpts would appear in the newspapers and scandalize society, her reputation would be destroyed yet despite the reforms the double standard still held sway......her husband's infidelities are not mentioned. Kate Summerscale gives a detailed account of Isabella's unsatisfactory and lonely marriage, of her increasing obsession with the younger Edward Lane and her passionate and lustful record of their 'affair' confided to her diary. Did she or didn't she? Edward Lane denied it and Victorian society struggled to believe a respectable middle-aged, middle class woman could pen such words. The only recourse her defense counsel had was to plead insanity, that Isabella's diary was the result of delusional fantasies brought on by 'uterine disease'.........a vague term that appears to have been used to cover anything a woman suffered from that men didn't understand. 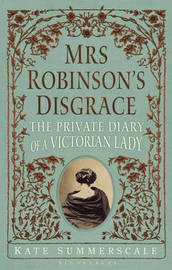 The divorce case is fascinating but is not the only subject Of Mrs Robinson's Disgrace to provide an interesting look at Victorian society. Edward Lane was a hydrotherapist with a clinic at Moor Park in Surrey and among his patients were recognisable names like Charles Dickens and Charles Darwin. His brother-in-law, George Drysdale, author of The Elements of Social Science in which he advocated free sexual unions before marriage , contraception and the limitation of families. The extensive notes and bibliography at the end show the thoroughness of Kate Summerscale's research, the narrative is both interesting, easy to read and entertaining and I liked that the author didn't impose her opinions or judgements but allows the reader to come to their own conclusions. 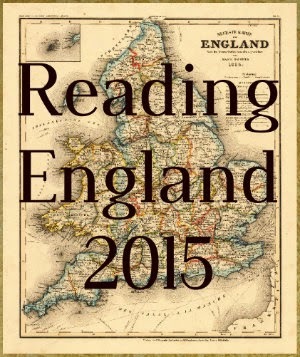 A book that will appeal to anyone interested in the Victorian era - I enjoyed it very much. Thanks to Bloomsbury and NetGalley for the opportunity to read and review.